Summertime! Time to give voice to your inner Sicilian. And what is he asking for? 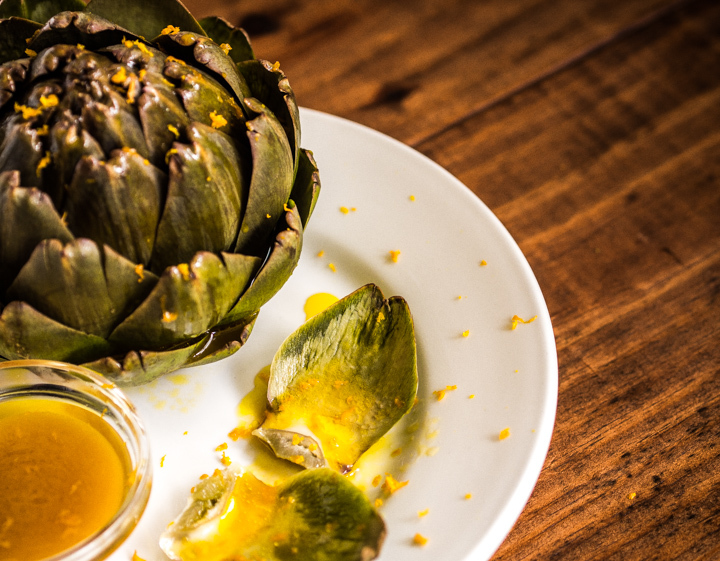 Perhaps a fresh steamed artichoke anointed with a golden sauce made of olive oil, orange, tangerine and lemon. So imagine you’re dining al fresco in a seaside trattoria in Palermo watching the fishermen rolling up their nets in the setting sun. The sail boats are bobbing on the white caps and you’re enjoying a glass of chilled Frascati while pretending to read your copy of Il Gattopardo in the absence of a badly needed dictionary. Everything is perfect until the waiter, noticing your reading material, begins a conversation in which you are completely unable to participate. But not to worry! He has arrived bearing your ‘Carciofi ai Succhi.’ You spare yourself further humiliation by grabbing the dish and forthwith begin gobbling leaves and dribbling sauce and damn if it isn’t good! So good you breach protocol and stick your finger in the sauce boat and slurp it right off (the sauce not your finger although it’s a close thing). Yes, it is that good! The tang of the capers and anchovies with the sweetness of the citrus are all swirling in an unctuous suspension of olive oil. You even manage to soak up the dregs with your bread. You’d think something this tasty would require time and effort but in fact it requires little of either. You may use small artichokes (pictured below) or larger ones and you can use whatever proportion of orange to tangerine you prefer. The smaller specimens were intended for the final photographs but they all got eaten (!) and thus the monster mother of artichokes below got her shot at immortality. And yeah, she tasted good too. So to recap the recipe directions below you just combine all the ingredients for the sauce in the pot, trim the stems a bit and let them slow boil to tenderness. Do it in batches if need be and if you need a little extra water feel free to add it in order to bring the level close to the top. When the chokes are done remove them to a platter, turn up the heat and let the sauce boil down to your preferred degree of thickness. I usually get a full cup out of this recipe using the proportions of liquid as outlined in the recipe below. When it’s done I let it cool off and check the flavor. Usually it wants a little salt and sugar or honey and it’s good to go. You may have some sauce left over and you’ll find that it’s good with seafood. Use it on a pan fried or grilled filet of fish or do what I did below. Get some sweet little Key West pinks, sauté them in butter and garlic and use the sauce for dipping. So there you have it. 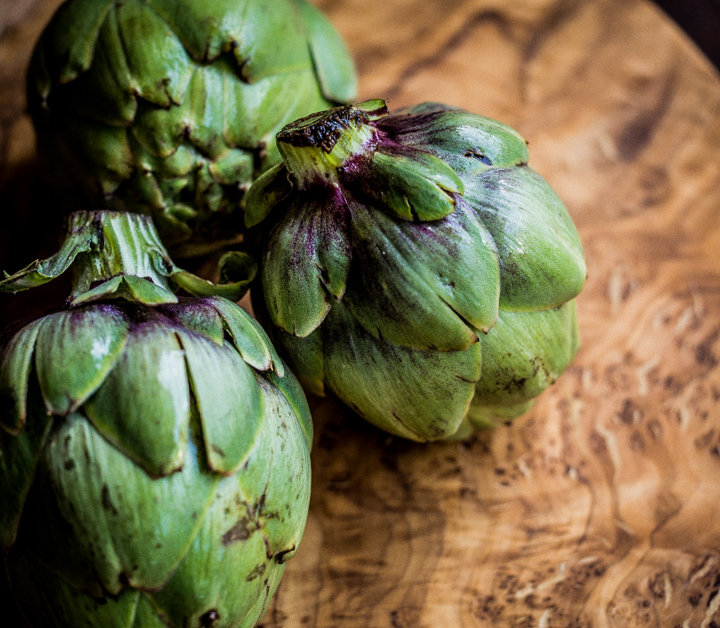 Sicilian style artichokes ready for dipping in the essence of citrus and the sea. Place the sliced onions in the bottom of a large dutch oven and put the artichokes on top of them. If the artichokes don't all fit in your pot, boil them in batches using the same liquid. Combine all the liquids plus the salt and cook over a low boil for 30 minutes. Check for doneness by removing on and piercing the base with a knife. It should be fairly soft. Remove artichokes and boil down the sauce with the capers and anchovies till thick. You should end up with 1 cup of sauce. Taste it and adjust seasonings. This is where I usually add some salt and/or some sugar. Then strain the sauce and add more capers if you want them. Spoon some of the sauce over the artichokes and save some for the side. Dust with a bit of orange zest if you have it. 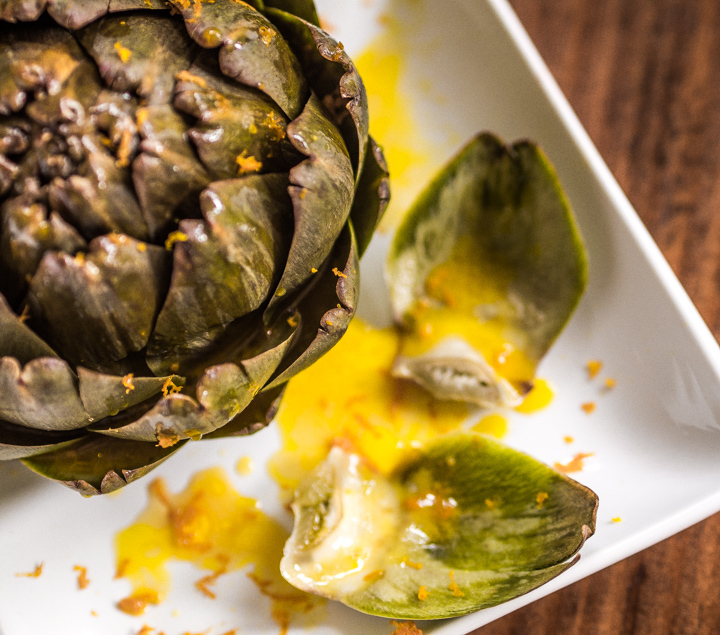 If you are using small artichokes like the ones pictured, double the number. Cooking time for small artichokes will be about 20 minutes, for medium about 30, and for the big ones up to 45 minutes. This was such a awesome read, thank you so much for authoring it. Thanks Cornelius! 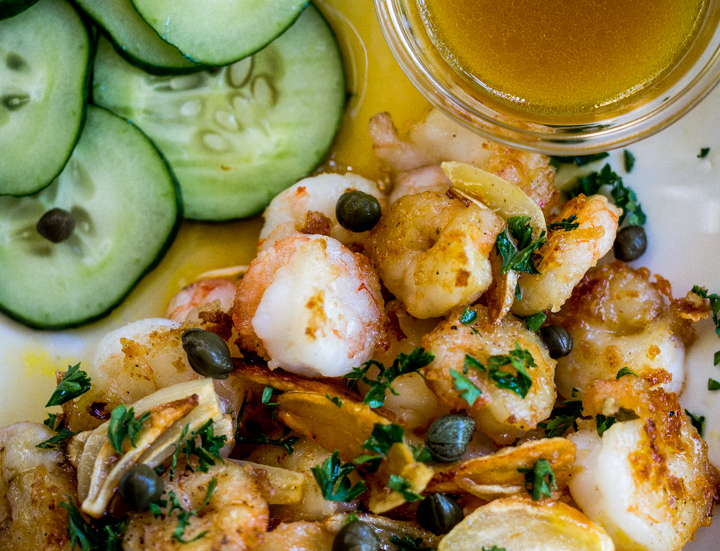 Hope the recipe reminds you of Sicily. This is to die for . . . I used the sauce on shrimp too as recommended and it couldn’t be better . . . we added a nice tossed salad with some fruit and berries and Viola! Thanks so much for posting this amazing recipe!